Pouring concrete doesn’t have to be left to the professionalsdecorate your home with concrete poured, mixed, and molded by your own two hands! Versatile, inexpensive, and easily casted, concrete is the perfect medium for crafters, tinkerers, and home improvers. Now, lifelong crafters and interior designers Susanna Zacke and Sania Hedengren reveal more than thirty of their favorite, no-fuss casting projects. Once you get started, you won’t want to stop making trinkets and ornate arrangements for friends, family, and each room in your house. Plus, crafting with concrete is a great way to get outside and enjoy a beautiful, sunny day. 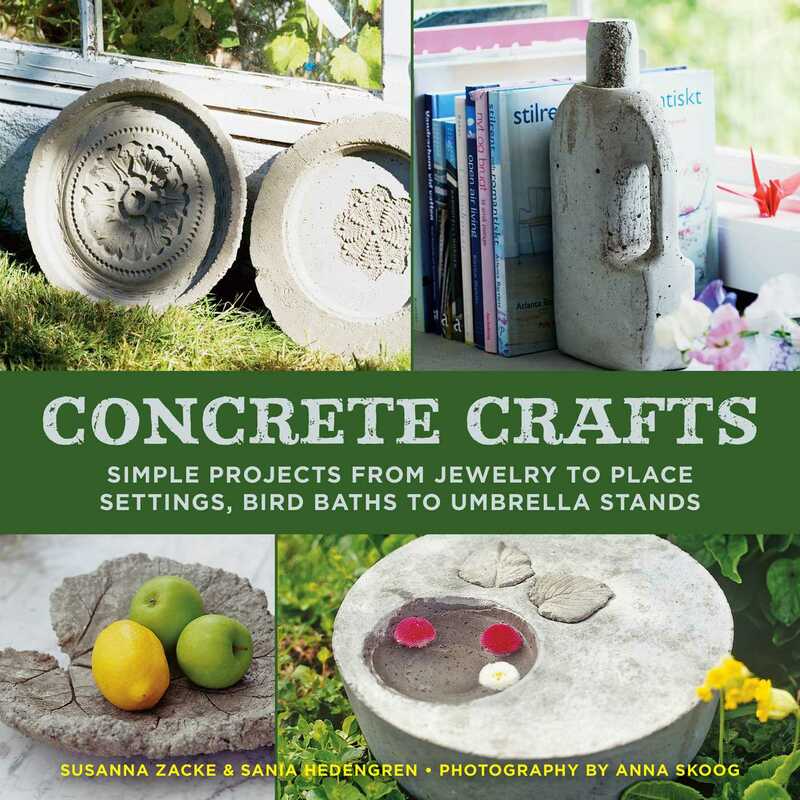 Featuring step-by-step photos, easy-to-follow directions, and Susanna and Sania’s expert tips, Concrete, the Perfect Hobby is the ultimate new guide to outdoor crafting. Pour out your creativity and discover the beautiful, practical items you can cast!